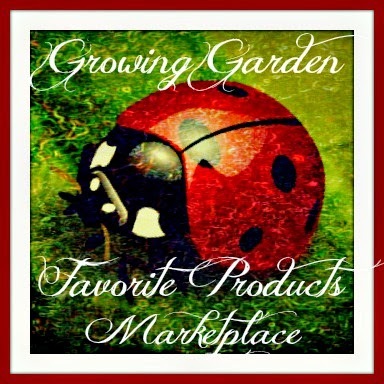 I have been trying update all my weight loss tools around the home recently. The bathroom scale we have is at least ten years old and looks about fifty years old. 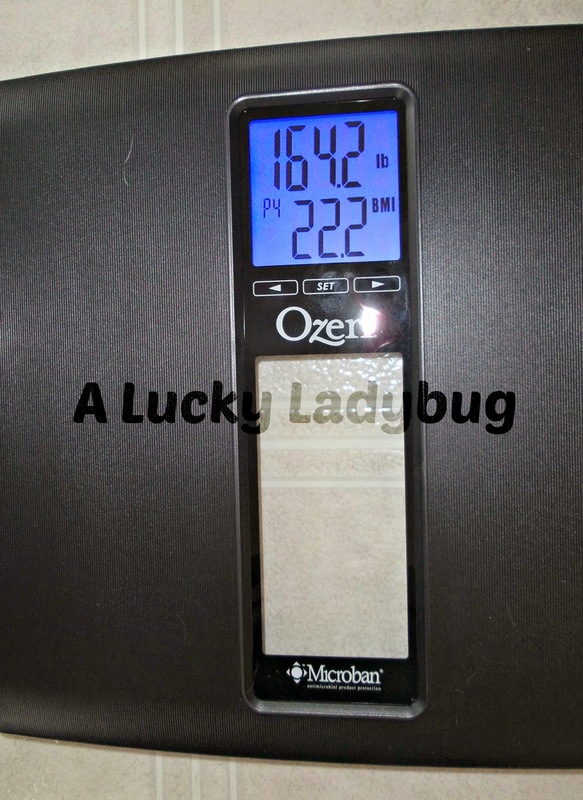 So when the opportunity arose to review Ozeri's WeightMaster II 440 lbs Digital Bath Scale with BMI and Weight Differential Detection, I had to have it. With all the new dieting and exercising I've been trying to get into lately I never stopped to think about the necessity of having a good scale around the home. I recently started a buddy diet of some sort with my good friend who is of a similar body type and lifestyle. We have been keeping food diaries and daily weigh-in's. 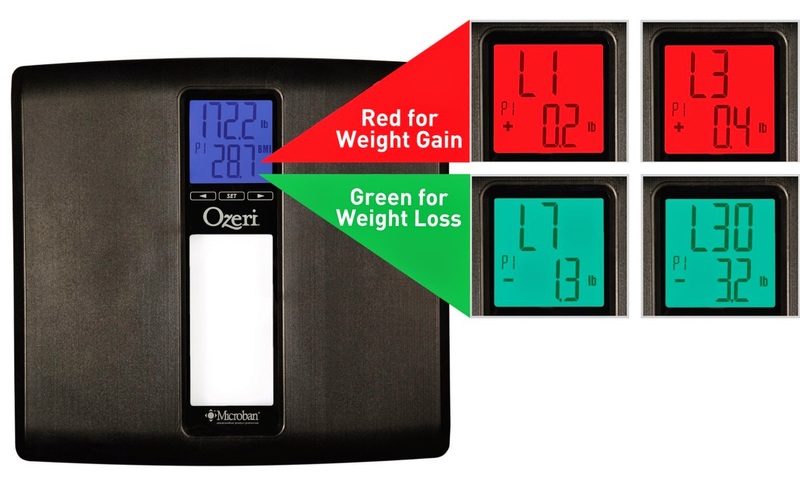 The Ozeri WeightMaster II 440 lbs Digital Bath Scale with BMI and Weight Differential Detection features (besides the obvious) Accurate Weight Tracking with 30 Day Memory which upon contact will instantly display your progress with an intelligent LCD color alert technology. It can also store this information for up to 8 people! I don't even have that many people in my home so this would be great for my friend who is following the same diet when she comes over to work out. 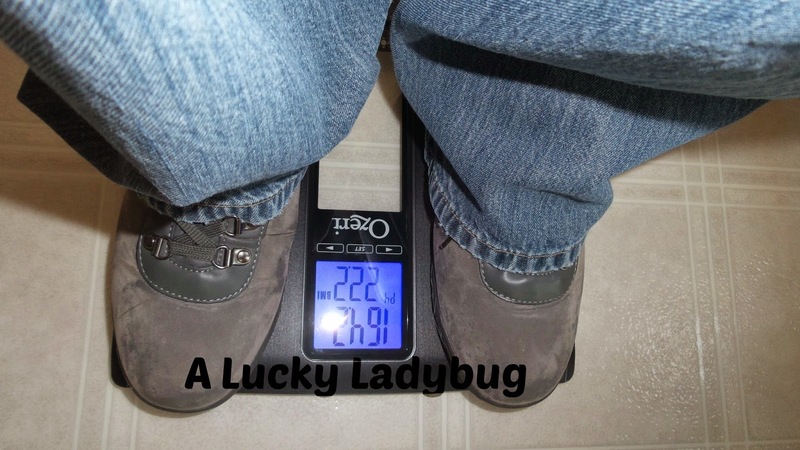 The best part is this scale is made of "a slip-resistant grooved ABS exterior reinforced with a tempered glass interior, and non-slip scratch-resistant feet that won't damage flooring." Plus it has also been "treated with Microban® antimicrobial product protection." This bad boy is going to last me for years to come. I am thrilled to have this sort of technology to help me along my weight loss journey. Ozeri WeightMaster II 440 lbs Digital Bath Scale with BMI and Weight Differential Detection Recommendation: This is a great product that I can only look forward to using throughout my weight loss. 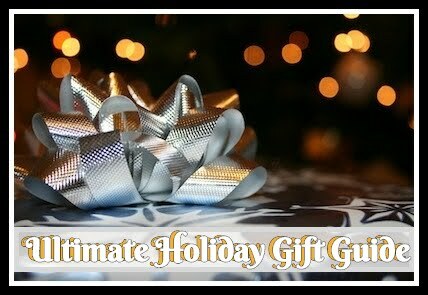 I think this would make a great gift for anyone at any age. I know this is a great Mother's Day gift in my eyes as it is extremely stylish and trendy!